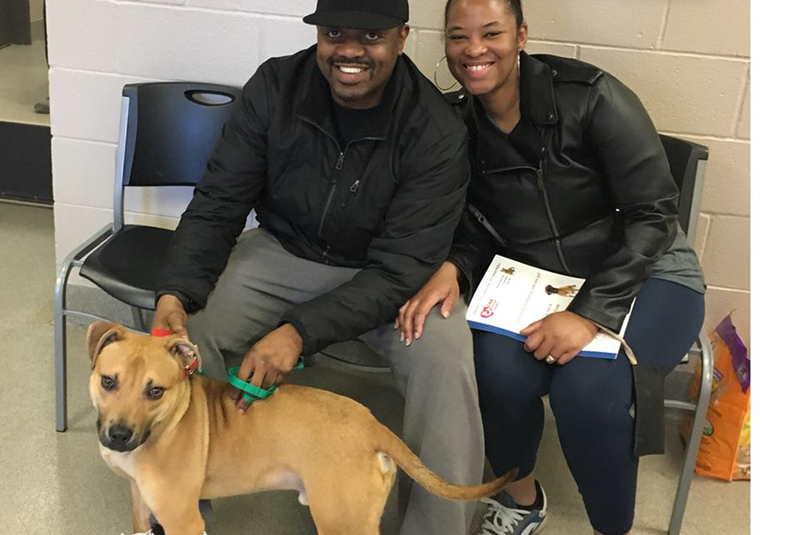 When Andraea and Tony M. decided to adopt their first dog, they visited several shelters near their home in the Columbus, Ohio, area. These shelters included Citizens for Humane Action (CHA). “CHA was professional, nice, inviting,” says Andraea. While there, she and Tony soon noticed Roswell, a tan-colored pit bull, and took him outside for a walk. Initially concerned about the stigma of pit bulls and the negative publicity they often get in the media, the young couple quickly changed their minds and decided to adopt him. “He was so laid back and relaxed,” recalls Andraea. The couple took Roswell home that day. Roswell was one of 50 dogs rescued by the ASPCA’s Field Investigations and Response (FIR) team and the Adams County Sheriff’s Office from the Natchez, Mississippi, dogfighting case late last year. After their rescue, Roswell and 12 other dogs were eventually transported to CHA to be put up for adoption, where they have all since found loving homes. CHA is one of many important placement partners the ASPCA relies on to take in animals rescued from cruelty and hoarding cases. 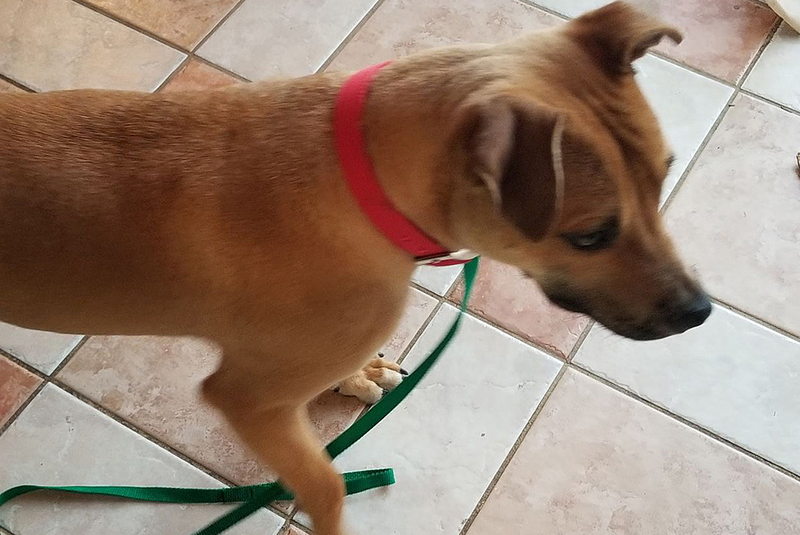 The 17-month-old pooch, who spent the majority of his life in a shelter before finding his new home, still shows signs of skittishness but is getting used to his new surroundings. “I am always amazed at the resilience of dogs and how they can come from such difficult environments, yet are able to live in the moment and place their trust in people again,” says Kelsey, who recalls seeing Andraea and Tony kneeling in the grass and gently petting and talking to Roswell before they adopted him. Andraea and Tony look forward to introducing Roswell—now known as Dex—to their family and friends. But now, he has the security of a loving home, a special squeaky toy that he sleeps with and his own bed—something he likely had never known before his rescue.